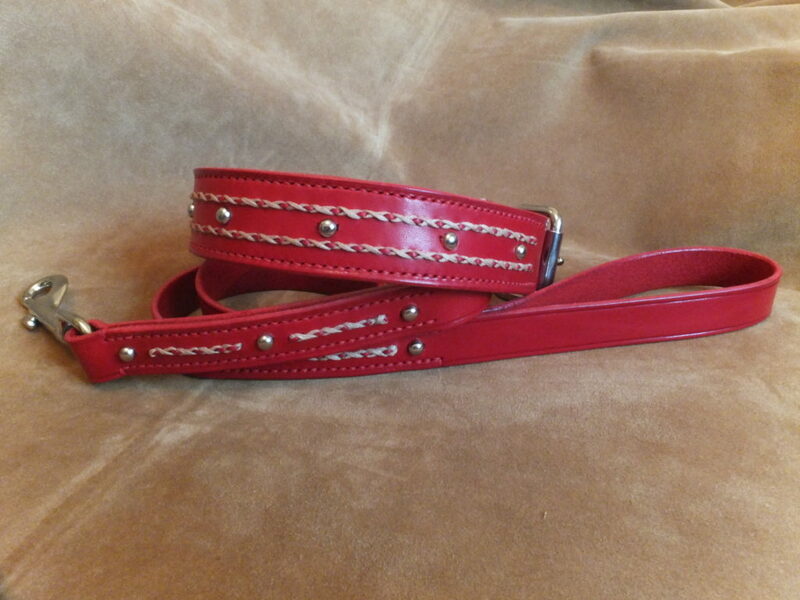 Stunning stitched and studded collar in lovely Italian red leather. All hand stitched using traditional methods giving your a beautifully finished product. The lead is available separately.